Railway Pictures is a site with all types of train photographï¿½s to share with anyone who admires trains. This site is dedicated to my father Antony James Northwood, who died on 11th November 1997 after fighting for 5 years with a Brain Tumour. My dad loved trains and the photoï¿½s shown within this site were taken by him and his father who also shared a love of trains. Like my father and grandfather I adore trains, steam trains being my favourite. This website has been created for railway enthusiast to view and enjoy my fathers work. Any money donated along with any profits from the site will be sent to Brain and Spine Foundation who supported my dad throughout his fight against cancer! Any donations are much appreciated either to this site or to the Brain and Spine Foundation. 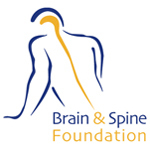 We managed to raise ï¿½131.45 last year which was donated to the Brain and Spine Foundation. Thank you so much!